My name is Dean Wagner and I am a Full-Stack Web & Mobile Application Developer with over 15 years of experience in the field. In 2001 I began developing websites on a professional level. Throughout the years I have fluctuated between being a part-time freelancer and a full-time developer. With each project I have continued to hone my skills and stay on top of the ever-growing complexities of web development as the industry expands exponentially. During my time in the military I developed several intranet portals in order to assist the administrative and command sections track everything from personnel rosters to significant enemy activity in the greater Baghdad area. Post-military I have continued to develop websites at a freelance capacity, as well as generate my own business and handle many projects completely on my own from the ground up. I have also worked at several companies developing web-based enterprise solutions, such as a Taxi Tracking and Dispatching System and an Electronic Medical Record and Document Management System. Also well-versed in VPN, proxies, BitTorrent, Tor Project, PGP Encryption, and overall online anonymity. Thanks to the Post 9/11 GI Bill I have been attending school at Eastern Florida State College since 2014. I have nearly completed all of the core classes for several programs and am currently working on the general academics to finalize them into degrees. I am a Combat Veteran, having served in Operation Iraqi Freedom, and am an active member of both the Veterans of Foreign Wars (Post 4535, Life Member) and the Combat Veterans Motorcycle Association (20-1). I volunteer much of my time to a joint initiative from both organizations called the Homeless Veteran Outreach. 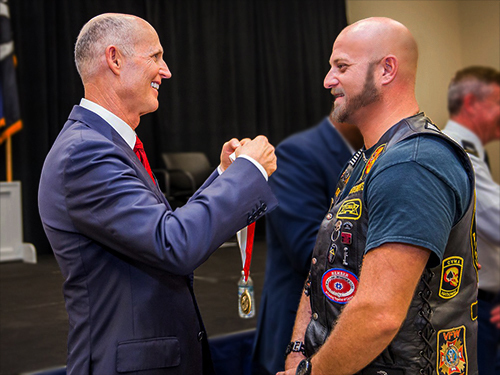 The mission of the Homeless Veteran Outreach initiative is to actively and persistently seek out homeless veterans and ensure they are aware of and able to access the assets and benefits they've earned. This includes—but is not limited to—assistance in registering with the VA , rides and/or bus tokens for medical appointments, and connecting them with groups who can give further assistance. We also work with local VSOs, as well as thrift stores, to facilitate the delivery of donated goods to the actual veterans in need. I served 8 years in the United States Army as a Combat Engineer; to include 2 deployments to Iraq totaling 2 years and 3 months in combat conducting Route Clearance Patrols, Counter-IED Operations, Reconnaissance Missions, and Personal Security Details. I served from October 2004 to September 2012. I was Active Duty from enlistment until February 2008, and in the Reserves for the remainder of my time. I deployed to Baghdad, Iraq from August of 2006 until November of 2007 while on AD for an extended 15-month deployment during "The Surge". 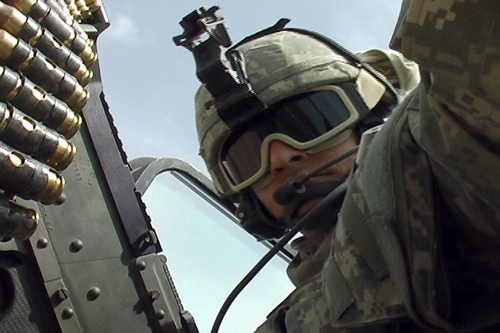 I then returned to Iraq, this time to Balad, from February 2010 to February 2011 during Operation New Dawn with the USAR. While serving I was awarded a multitude of commendations, to include—but not limited to—multiple Army Commendation Medals, Army Achievement Medals, and the Combat Action Badge. I separated from the Army as a Non-Commissioned Officer, having attained the rank of Sergeant (E5), with an Honorable Discharge.